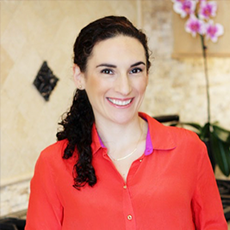 Dr. Palevsky is a board certified pediatrician who utilizes a holistic approach to children’s wellness and illness. 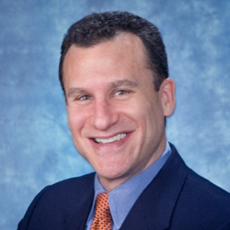 Dr. Palevsky received his medical degree from the NYU School of Medicine in 1987, completed a three-year pediatric residency at The Mount Sinai Hospital in NYC in 1990, and served as a pediatric fellow in the ambulatory care out-patient department at Bellevue Hospital, NYC, from 1990-1991. Since 1991, his clinical experience includes working in pediatric emergency and intensive care medicine, in-patient and out-patient pediatric medicine, neonatal intensive care medicine, newborn and delivery room medicine, and conventional, holistic and integrative pediatric private practice. 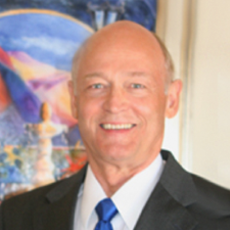 Dr. Palevsky is a diplomate of the American Board of Integrative Holistic Medicine, and Past–President of the American Holistic Medical Association. In his current practice in Northport, Long Island and Manhattan, NYC, Dr. Palevsky offers consultations and educational programs to families and practitioners in the areas of preventive and holistic health; childhood development; lifestyle changes; nutrition for adults, infants and children; safe, alternative treatments for common and difficult to treat acute and chronic pediatric and adult conditions; vaccination controversies; mindful parenting; and rethinking the medical paradigm. 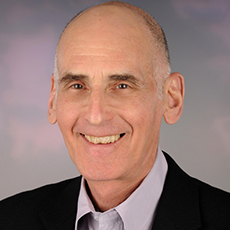 Additionally, he teaches holistic integrative pediatric and adolescent medicine to parents, and medical and allied health professionals, both nationally and internationally, and is available for speaking engagements worldwide. 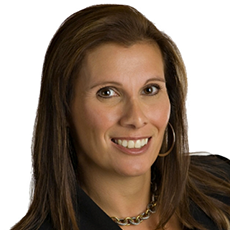 Lisa Suriano is a certified nutritionist holding a Master’s degree in Nutrition and Food Science and specializing in school food service as the Director of Operations for J.C. Food, a premier school food service consulting company for independent schools in New York, New Jersey and Connecticut. Lisa founded the evidence-based nutrition education program, Veggiecation® that introduces 1000s of American children to the delicious world of vegetables. As a school food service expert, Lisa serves as Co-chair of the board of directors of the New York Coalition for Healthy School Food, a non-profit that works in partnership with New York City’s Department of SchoolFood to improve the health of New York state students. Additionally, she serves as the Nutritionist for Lessing’s Food Service Management consulting for college level foods service programs, providing menu advisement and sports nutrition guidance for university athletics teams and providing nutritional services for their corporate dining customers. Lisa has been featured in a selection of national and regional media, including traditional print and broadcast as well as online news and social media outlets. 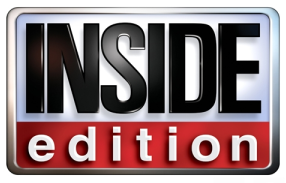 Featured broadcast segments include NBC Weekend Today in New York, WPIX Morning News and NY1, where Lisa shared with viewers healthy, vegetarian recipes and discussed how viewers can incorporate healthy food choices into their diets. Lisa has also made broadcast appearances on The Wendy Williams Show, ABC News, One-on-One with Steve Adubato, FIOS Push Play, CUNY TV and News 12 New York, Brooklyn and New Jersey. Hailed as the “Martha Stewart Of Green Cleaning”, Leslie Reichert is a cleaning expert that uses her sparkling personality, great sense of humor and contagious passion to encourage her fans and followers to think differently about their cleaning products. Leslie Reichert is known as a Green Cleaning Coach and she is changing the world – “one spray bottle at a time”. She is a national lecturer, a frequent homekeeping expert on The Dr. Oz Show, Martha Stewart Living Radio, Kmart’s Cleaning Expert and author of the book: The Joy Of Green Cleaning – a handbook for DIY cleaners. She works with Better Homes and Gardens, Real Simple, Today.com and other national publications. 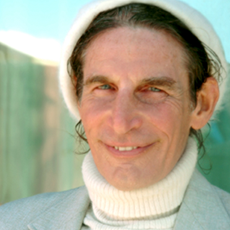 Rabbi Gabriel Cousens, M.D., is a world-recognized medical doctor and spiritual teacher. He is the founder and director of the Tree of Life Foundation, which trains spiritual counselors and coordinates international humanitarian programs benefitting disadvantaged families, children, and indigenous cultures through holistic education. A leading medical authority, with forty years of success in healing diabetes naturally, he is also the founder of the Tree of Life Center US in Patagonia, Arizona, a healing center for spiritual and physical healing. A best-selling author and the creator of Dr. Cousens’ Diabetes Recovery Program, he uses the modalities of diet, nutrition, naturopathy, Ayurveda, and homeopathy blended with spiritual awareness in the healing of body, mind, and spirit. He is a father of two and a grandfather of three. Jan Pinnington is a Nutritional Consultant, wife, mother, and “consummate foodie.” She specializes in teaching nutrition and healthy recipe preparation to children ages 2-13. In an effort to fight childhood obesity, Jan’s company, Healthy Hands Cooking, teaches other caring adults to do the same. Her philosophy? Love what you do, do what you love, and share your experience with others. 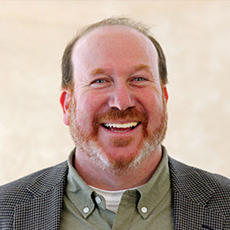 Craig Appel became the Executive Director of Hand in Hand Parenting in early 2015. Prior to Hand in Hand, Craig worked for 15 years at the Energy Foundation, serving as the Director of Partner Relations where he created and directed a highly successful funding partner program. In 2010, on assignment from Energy Foundation, he helped launch the Shakti Sustainable Energy Foundation in India. As a volunteer, Craig has served as a trustee of the San Francisco Waldorf School since 2007, and as chair of the board from 2010-2014. He had volunteered with youth outdoor programs and enjoys coaching youth sports. He has a Bachelor of Arts degree from Michigan State University and a Masters of Nonprofit Administration from the University of San Francisco. Craig lives with his wife, Kate Holcombe, and their four children in San Francisco. 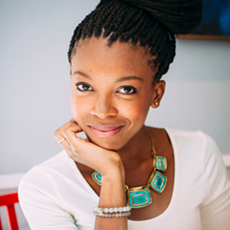 Jenné Claiborne is a vegan personal chef, passionate cooking instructor, health coach, and the tummy behind Sweet Potato Soul––a vegan food blog. She was born in Atlanta, GA and lived there until leaving to receive a BFA in acting from Boston University. 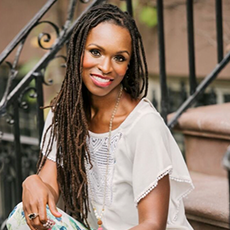 Though she no longer acts, Jenné spends a lot of time on camera sharing her love of vegan cooking and nutrition with her Youtube audience. Jenné’s passion for food was fostered as a child down South. Soul, attention, and love––magical elements introduced to her by her grandmother–– are the three main ingredients she puts in every dish she makes, no matter how simple. 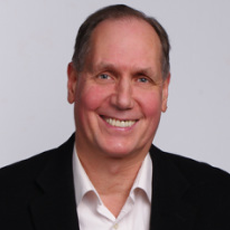 Chris is the Founder of EMF EXPERTS and has been a licensed Professional Electrical Engineer for over 40 years, practicing in nearly half the States in the USA and in Executive Engineering Services Management in dozens of countries worldwide. His areas of professional expertise include utility, industrial, commercial and government entities, as well as private homes and work places. Once an avid electronic technophile living in a WiFi cloud with continuously ringing cellphones holstered on each hip, his observant engineer’s mind could not ignore the invisible yet growing Electrosmog, the consumer obliviousness to it, and the lack of expert understanding of biological hazards and lack of health safety standards for this burgeoning new EMF phenomenon. Upon retiring from his fast paced professional career and finally having time to research and ponder the nature of invisible wireless pollution, what he learned made him resolve to put his engineering expertise to its best service yet – creating an EMF safe world where electromagnetic fields, cellphones and other wireless technologies were used by safer, smarter, informed consumers and the risks of EMF mitigated by trained certified EMF Experts. In addition to training Certified EMF Experts, Chris is a highly sought after speaker/presenter on popular and important EMF topics. 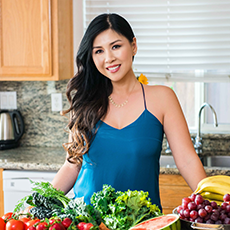 My Nguyen is the creator of the popular healthy recipe blog Myhealthydish.com with large social media following of a million healthy foodies on Instagram. My’s on a mission is to prove to the world that eating healthy food can be easy and delicious. She is currently wrapping up her first cookbook called “My Healthy Dish” which will be on the shelf Spring 2016. Her original photos and recipes have been so sought after that she has landed campaigns with top brands like Jamba Juice, Hallmark, Panasonic, McCormicks, Campbells and many more. She is in the process of developing her second cookbook and masterminding her third. There are also plans for a My Healthy Dish App coming in 2017. To her “It’s a Lifestyle, Not a Diet.” She currently resides in Brentwood CA with her husband and twin girls. Pediatrician Jennifer Trachtenberg, MD – known to her patients as Dr. Jen – is a nationally renowned parenting expert, board-certified pediatrician, the co-founder of Baby Bundle App, and has maintained a successful private pediatric practice in New York City for the past 20 years. She is also an Assistant Clinical Professor of Pediatrics at The Mount Sinai School of Medicine, a Fellow of the American Academy of Pediatrics, and mother of three children. Dr. Jen has appeared numerous times on NBC’s TODAY show, contributes regularly with health and parenting topics, including child development, childhood obesity and sleep issues to Baby Chat TV, Fatherly and RosiePope.com. She has published two parenting books, The Smart Parent’s Guide to Getting Your Kids through Check Ups, Illnesses and Accidents (2010), and Good Kids, Bad Habits: The RealAge Guide to Raising Healthy Children (2007). 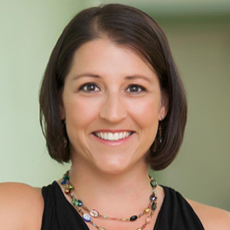 Dr. Jen Trachtenberg’s mission is to maximize the potential that is within every child. Her lifework as a pediatrician and parenting expert emphasizes the importance of a child’s emotional, behavioral and physical well being, while focusing on improving social and environmental factors to reduce the risk of chronic disease in adulthood. Amie Hamlin has been the Executive Director of the New York Coalition for Healthy School Food since its founding in 2004. Previously she was the director of a non-profit environmental organization on Long Island and director of a tobacco-control program in Binghamton, NY. She wrote a NYS legislative resolution for healthy plant-based entrees and nutrition education in schools which passed unanimously in 2004. The Coalition was then formed in order to implement the recommendations of the resolution. The Coalition has developed recipes which have been distributed to 25,000 schools nationwide, a middle school Family and Consumer Sciences Cooking curriculum, a 3 – 5th grade curriculum called Food UnEarthed: Uncovering the Truth About Food, and nutrition education resources including Wellness Wakeup Call and Feel Good Food Cards. Andi Durkin is the president and executive director of Down Syndrome OPTIONs; blogger of Down Syndrome: A Day to Day Guide; parent to thriving 5 year old son with Down syndrome and 2 year old son with cerebral palsy; editor, writing coach/ghost writer; artist and character in the comic strip, Father of the Brood. Dedicated to educating interested parties about solid options for those with T21 and CP. For over 4 decades, a multitude of clients under Denny’s care have overcome health issues both big and small — through personalized food and lifestyle choices that combine nature’s rhythms, proven dietary practices of long-standing civilizations, and clients’ individual constitutions. Denny’s path toward prominence in Macrobiotics began with a twist of fate. As a young man, he was an admitted “junk-food junkie”, without direction, and not particularly happy. Walking into his room one day he found a book on his bed. He picked up a book by George Ohsawa and read it non-stop cover-to-cover, with relish. It put the world in a perspective for him that made so much sense! This profound experience ignited his life, and set him on a career path that remains a passion to this day. One of his first main accomplishments was founding Essene Market & Cafe in 1969, the first health-foods store in Philadelphia. Later in his career he gained international recognition after helping a respected physician and CEO of Philadelphia’s Methodist Hospital recover from terminal prostate cancer. This was documented biographically in Dr. Anthony Sattilaro’s book “Recalled By Life”. After running Macrobiotic education centers in Europe, he went on to form his own in Philadelphia, “Strengthening Health Institute”. He is distinguished in his field by his 43 years of diagnostic experience, his vast knowledge bank of specific foods, dishes and practices for personalized recommendations, helping his clients develop healthy habits at their own pace, simplifying advice, and using his principle of “adding to” diets, rather than following the “taking away” mindset that fails so many. As a result, he is not aware of any other current Macrobiotic Counselor who has had, by far, as many health recoveries. If you are ready for powerful guidance to stabilize, support, and invigorate your health, invite Denny’s guidance today — and turn your life in the direction of feeling your most fabulous, looking your most vibrant and thinking with great clarity! I would also like a mention of my book included. Denny’s latest book, “The Complete Macrobiotic Diet” is available on Amazon or at Barnes & Noble. Sheri DeMaris knows what it’s like to be short on time and pressed for quick, healthy solutions. Over the past 30 years, she has spent nights and weekends developing from a woman with a knack for creative recipes into an authority on alternative health. Sheri has studied macrobiotic philosophy, counseling, teaching, cooking, shiatsu massage and oriental diagnosis and is a Level 4 graduate of the Kushi Institute. She is the host, director and producer of an alternative health TV show: “Tea with Sheri”; a cooking TV pilot: “Macro for the Mainstream” and a number of cooking TV videos for children. She is a cooking instructor for people of all ages. 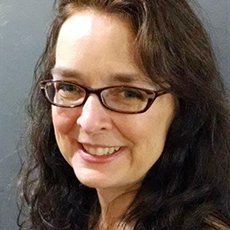 She has taught extensively on the east coast and has traveled throughout the United States, Germany, Belgium, Amsterdam and Japan as a cooking instructor and educator. She was the recipient of the “Golden Carrot Award” and the McDonalds “Go Fit Award” for helping to promote healthy eating in public schools. Her kitchen is her sanctuary and has been since she was 20 years old. Look for her new cookbook Macro Magic for Kids and Parents sold in area Whole Foods Stores and on www.cedartreebooks.com / or www.teawithsheri.com. Laura Fuentes is the CEO of MOMables, where she helps parents make fresh school lunches and meals food their kids will love with easy meal plans and an online fresh meal delivery business. 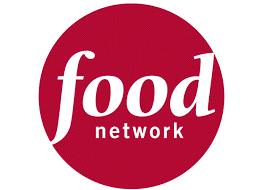 She’s a visionary, big picture strategist, public speaker, the Author of 3 Cookbooks spokesperson, makes regular television appearances, competed on Food Network in 2014 (and won!) and a successful entrepreneur. 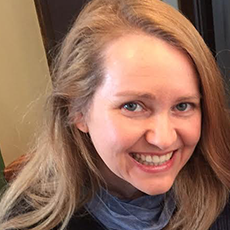 She works with numerous brands on food and lifestyle campaigns, contributes recipes to print magazines, is a TODAY show and TODAY.com Food and Parenting contributor, writes for Parents.com, and has a column in the Huffington Post. With a background on Global Economic Relations and an MBA in Business Development, Laura is also a business mentor specializing in online monetization, digital strategy, and online community building. In her personal blog, LauraFuentes.com, she shares recipes, and inside look at her life as an entrepreneur and homeschooling mom, and much more. You can connect with Laura on Twitter, LinkedIn, and Instagram. Karin G. Reiter, medical nutritionist, fitness expert, wife, mama and founder of Nutritious N’ Delicious (http://nutritiousndelicious.com/site/), has been a leader in the nutrition, fitness, and wellness industry for the last 10 years. Karin founded Nutritious N’ Delicious in 2011 in Australia (after a corporate career in law and finance) and her aim was to touch as many people as possible and provide knowledge, support, guidance and advise on building a healthier life style. She has led workshops and nutrition programs in Singapore, Hong Kong, Israel and Australia. Karin’s passion is to educate, to ask questions and to bring to light the importance of natural, simple, organic and nourishing foods. 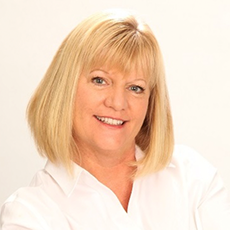 Karin is a passionate speaker & journalist in the area of nutrition and has written for numerous publications in Australia, Israel and through-out Asia. 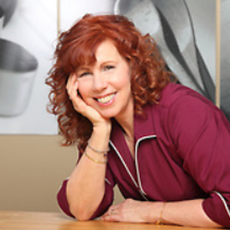 Karin is also the author of 2 children’s recipe books branded “The rosy cheeked kids” (http://nutritiousndelicious.com/site/shop/). You will find Karin traveling with her family all over the world, in the kitchen developing and creating healthy recipes or drinking a green juice after a yoga practice. An Emmy Award winning television personality, Christina Pirello, MFN, is one of America’s preeminent authorities on a healthier lifestyle utilizing natural and whole foods. This bright, free-spirited, vivacious redhead with a radiant personality delivers a much needed message to the world. She’s made it her purpose in life to show the world that everyone can look their best and feel great too, by learning to correctly select the best ingredients available. Christina’s love affair with food began at a young age when she spent many happy hours cooking with her mother, who centered the family life in her Italian kitchen. “My mom was happiest at family gatherings while she was cooking.” That joy prepared Christina to understand the healing power of food. An understanding Christina would put to its test at age 26 when she was diagnosed with terminal leukemia. By the time her illness was identified, the cancer had already advanced to an acute stage. Her doctors gave her little chance of recovery, and her options with conventional medical therapies were limited. She was told she had only months to live and to prepare herself for the inevitable. She was discouraged and uncertain. A chance meeting with her now husband Robert Pirello would change her life forever. Robert, a whole foods advocate, helped Christina change her lifestyle and diet based on healthy eating incorporating whole and unprocessed foods. This change saved her life! Christina overcame the odds and in the process developed an expertise in cooking with whole natural foods. 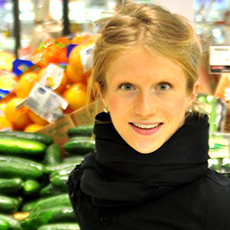 Today, almost 31 years after her illness, Christina is a glowing example and inspiration illustrating that food choices have an enormous impact on health and well-being. Alicia Mauldin is a graduate of the University of Florida and mother of three children (ages 10,11 and 13). She has been teaching yoga since 2002 and wanted to share the joys of yoga with more than her own children, and began teaching kids yoga classes in 2010. Despite her many years of experience teaching adults, teaching children was completely different – and challenging! She pursued a children’s yoga specialty and trained with YogaKids and is a Registered Children’s Yoga Teacher with Yoga Alliance. Her passion for YogaKids continued as she joined their corporate team in 2013 and is currently their Program Director. Alicia has a passion for teaching, training and enjoys sharing her knowledge with others. She continues to teach adult yoga classes and is a lead trainer for a 200-hour adult yoga teacher training in her area. She loves to teach YogaKids classes, especially at her daughter’s dance studio. Alicia is also a YogaKids trainer, teaching adults from many different professions how to incorporate YogaKids into their daily lives and the children with whom they interact. She likes to laugh and keep yoga fun for both adults and children – we are all children at heart and Alicia helps all of her students discover the best versions of themselves. Lynn Fredericks is the founder of FamilyCook Productions and an award-winning pioneer in the field of obesity prevention and family nutrition. She is the author of Cooking Time Is Family Time (Morrow 1999) and Get Your Family Eating Right! (Fair Winds Press 2013). Since 1995, the educational efforts under FamilyCook Productions have reached over 200,000 parents and children. 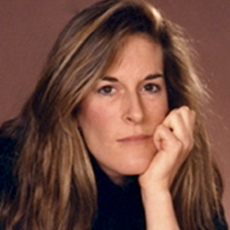 Fredericks’ work in New York City public schools won her a 2002 Leadership Award from the New York City Council of Administrators. In 2001, she was presented with a PRIDE award for her contributions to family nutrition education in the NYC public school community. In 2006, Gourmet magazine saluted FamilyCook’s efforts to bring cooking skills to inner-city families. A leading advocate for hands-on food/nutrition education for all, Fredericks is a popular lecturer, televisionpersonality, and cooking demonstrator. In 2013, Fredericks became a Co-Investigator for a NIH-funded research project in New York City with Einstein College of Medicine and HealthCorps. In this role she will assist the team to build on the Teen Battle Chef leadership development successes to disseminate evidence-based strategies through a range of youth-led activities that build skills for new, healthier behaviors. 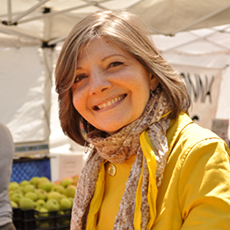 Fredericks herself takes on leadership roles in several national organizations including the Food & Nutrition Section of the American Public Health Association, Society of Nutrition Education & Behavior, and The Food Systems Network NYC. She was the founding chair of Les Dames d’Escoffier’s Green Tables Initiative and a former Board Director of the National Gardening Association. 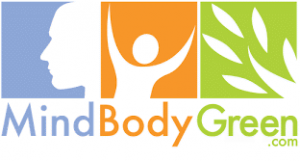 In 2014, she conceived of a national campaign that FamilyCook is launching with support from a wide array of nutrition and health experts, leaders and organizations. Kids Food Reboot: Serving Our Children Better is a dynamic campaign with a positive message for parents and provides educational resources and connects parents with leading restaurants who are ‘rebooting’ kids food – nationwide. Fredericks has served as spokesperson for brands such as Barilla Pasta, Tupperware, Reynolds® Oven Bags, and The National Pasta Association Fredericks and FamilyCook Productions’ programs have been featured on national television shows including NBC’s Today, Cooking Live, and the Food Network’s Chopped, as well as numerous local radio and television programs across the U.S. She resides in New York City. Amie Valpone, HHC, AADP is the Editor-in-Chief of www.TheHealthyApple.com; she is a Manhattan Celebrity Chef, Culinary Nutritionist, Professional Recipe Developer, Food Photographer, Writer and Motivational Speaker specializing in simple gluten-free, soy-free and dairy-free ‘Clean Eating’ recipes. Amie recently healed herself from a decade of chronic pain including Lyme Disease, Polycystic Ovarian Syndrome, Hypothyroidism, Adrenal Fatigue, Leaky Gut, Heavy Metals and much more exhausting thousands of doctors in the country and Mayo Clinic; she shares her story of how Clean Eating and Detox saved her life and inspires you to Clean up your food, too. Amie lives in Manhattan, NYC where she cooks for a variety of clients including celebrities and people with busy lifestyles who enjoy healthy, organic, whole foods. Amie’s work appears on Martha Stewart, ABC News, Fox News Health, WebMD, The Huffington Post, The Food Network, Glamour Magazine, Clean Eating Magazine, SELF Magazine, Prevention Magazine, PBS and many others. Visit Amie on Facebook, Twitter, Instagram, Google Plus and Pinterest @TheHealthyApple. Amie’s first cookbook, ‘Eating Clean: The 21-Day Plan to Detox, Fight Inflammation & Reset Your Body’ will be in stores nationwide March 8, 2016. For 40 years John has taught and counseled over 40,000 people in his private Macrobiotic Family Practice and at an international natural health Institute. There he has the distinction of being the only senior faculty member with 27 years of uninterrupted employment (1986- April 2013). John resigned from this Institute in order to maintain his high ethical standards for teaching and counseling. He has trained many macrobiotic teachers and counselors working in this field today. John has aided thousands of people in their recovery from diverse ailments such as cancer, heart disease, pre-menstrual syndrome, endometriosis, urinary tract infections, candida, chronic fatigue, diabetes, hypoglycemia, weight loss, eating disorders, digestive disorders, Crohn’s disease, inflammatory bowel disease, and mood disorders. Many other types of conditions have seen improvement or reversal. John’s macrobiotic program for health is unique incorporating the best of eastern and western approaches to food, nutrition, health and healing with a contemporary interpretation. This includes his study of Chinese medicine, modern nutrition, allopathic medical approaches, Ayurveda medicine, eastern and western herbal remedies, and the energetic healing arts of Qigong/Do In and yoga. John is a shiatsu practitioner and teacher. His ongoing research and study of conventional and alternative healing modalities allows him to incorporate the best practices according to his experience and comprehensive understanding of natural health care and diagnosis. John has appeared on television and radio. He is an author and has written numerous magazine articles on the topic of natural health and healing. John has an extensive series of macrobiotic health education CD’s and DVD’s. He maintains a teaching and counseling practice home office in Becket, Massachusetts and travels monthly to various locations in the United States including New York, New Jersey, Connecticut, Portland, Maine and Chicago, Illinois. He is available in the United States and internationally for natural health programs and counseling. Please contact our office for further details. We respect your email privacy and you can unsubscribe at any time. Copyright 2016 Christine Waltermyer | All Rights Reserved.